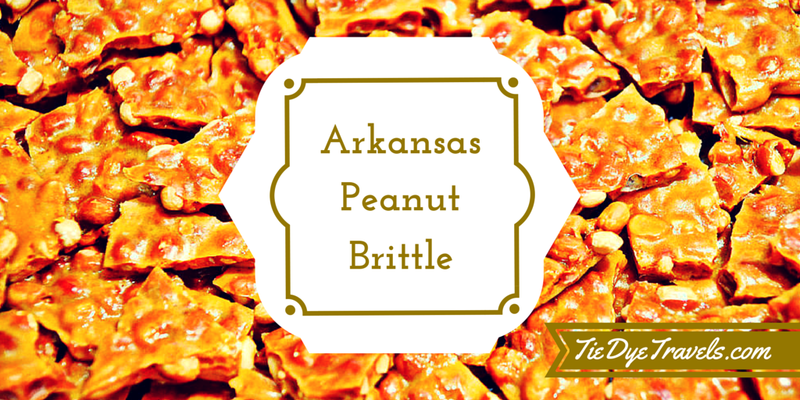 Peanut brittle, that great common candy familiar to just about any Arkansas traveler, is a truly wonderful thing. Flavorful, sweet and the thinner the better, you can find it all over Arkansas. great take-home candies, including brittle. 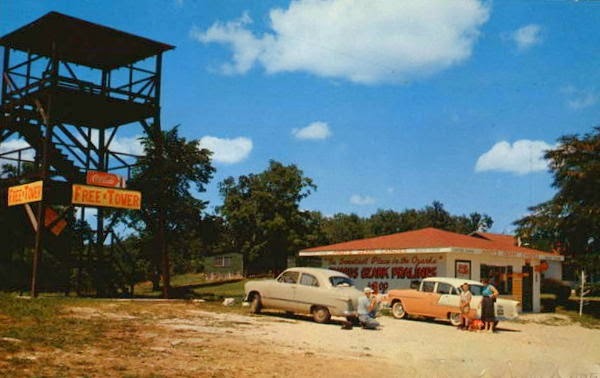 Fifty and sixty years ago, when Arkansas’s still-nascent highway system was dotted with stands offering everything from fudge to honey to pecans, peanut brittle was everywhere. It was explained to me when I was a child, the difference between folks in Arkansas and Texas. That just doesn't look right. affection for brittles of all sorts. 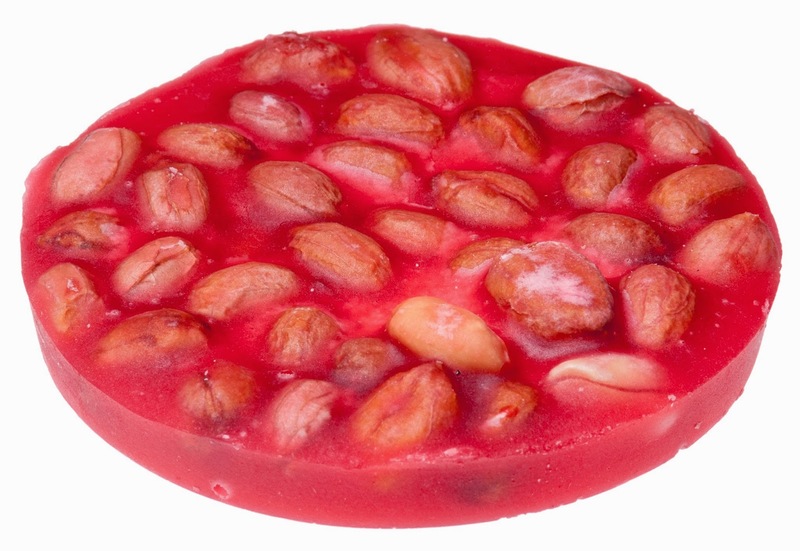 The old Arkadelphia stalwart, Juanita’s Candy Kitchen, still offers a thin, crystalline consistency with just enough nuts in to alleviate the pure-sugar percentage. 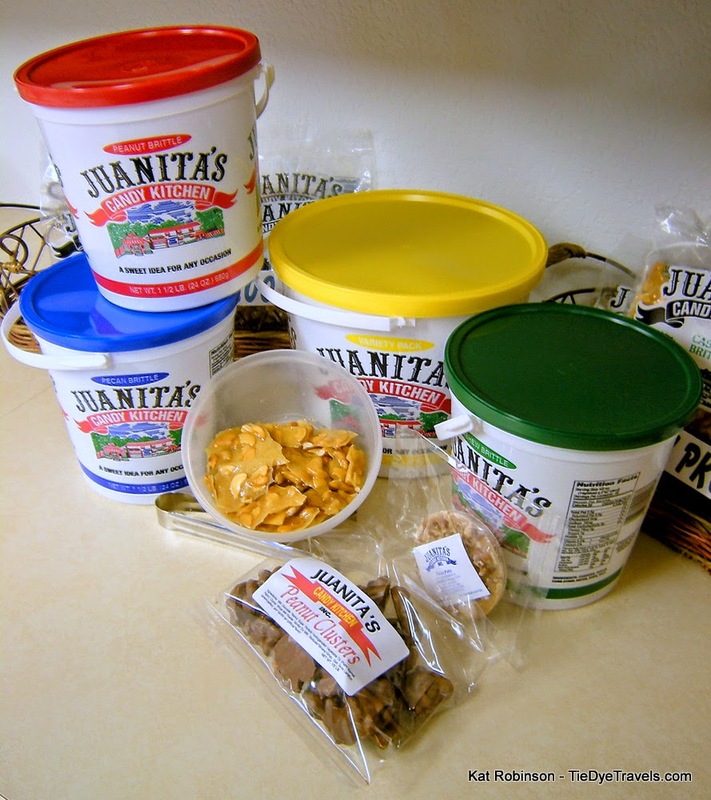 Juanita’s also offers cashew and pecan versions -- the pecan comes out almost clear. The candymaker goes through 350 pounds of sugar a day while making enough brittle for the big tubs. You wouldn’t know it, but this year marks 40 years since Juanita Gaither first started making the brittle to sell. Both are great, just not together. In the River Valley, you’ll find Subiaco Abbey, and in the abbey you’ll find monks who make, amongst other things, a traditional peanut brittle. 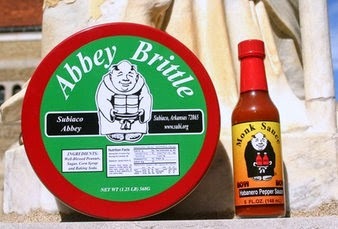 Abbey Brittle is a special gift to give, and it’s a very candy-like, thicker brittle than Juanita’s. When you have a peanut brittle hankering and you’re around Heber Springs, drop into Ozark Country Market and pick up Arkansas Traveller Gourmet Food’s peanut brittle. Another thin confection, this one’s cloudier than Juanita’s but also very sharp and satisfying. 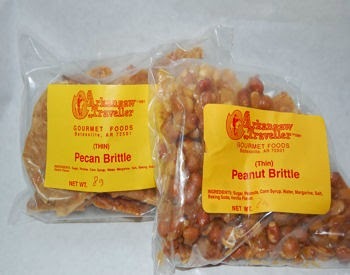 Then there’s the butter-cream peanut brittle at Martin Greer’s Candies. It’s softer, and it has a particularly vanilla essence to it – and it’s still made from an original 1897 recipe. R and G’s Candies makes several types of brittle, including a chocolate version and one that’s coconut pecan. The Star City candymaker is a family operation – and the brittle once raised money for a new church. It's also available in Van Buren at Kopper Kettle Candies. You’ll also find peanut brittle being made in smaller batches different places, like the Cedar Ridge Country Store between Berryville and Green Forestm Stonebrook Fudge Factory up in Mountain View and Keller’s Candies in Gravette. The United Pentacostal Church folks make up a bunch to sell at each year’s War Eagle Craft Fair, and you’ll find homemade versions at the Banks Buck Festival. And then there’s the brittle at Big John’s Shake Shack in Marion. This isn't brittle for ordering, it’s made for eating right there at the time. Check out this piece from Southern Living that shows the making of this brittle. Have a favorite brittle memory? Please share. 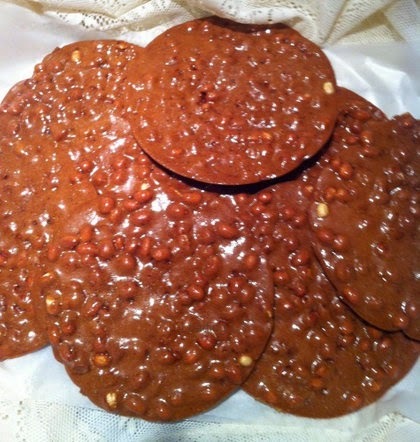 And if you want to make your own, here's a peanut brittle recipe from KAIT in Jonesboro. And here's another one from The Gifted Gabber. I am a weirdo but I make my own with my Granny West's recipe.